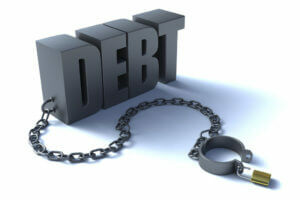 Home » Debt Learning Centre » How do you know when you have a debt problem? How do you know when you have a debt problem? Most people carry at least a little bit of debt, but how do you know when you’ve got a debt problem? There are a number of telltale signs that signal that your debt is more than normal. If you are experiencing any of the problems listed below, and your debt hasn’t already become unmanageable for you, chances are that it will soon. Are you feeling the pressure of carrying debt? The only way to rid yourself of that stress once and for all is to pay your debt down today. Our trained credit counsellors have the resources and strategies that can help you pay your debt down and move towards achieving your financial goals. Call us today at 1-888-294-3130 or visit our free online debt analysis. Are you scrambling each month to make your bill payments? Do you have enough money to even cover the minimums? If you are living paycheque to paycheque and are stretched pretty thin servicing your debt, then your debt is too substantial. “What’s even worse is if you are taking money from one card to pay another. Not only are you adding to your debt, cash advances are usually charged a higher rate of interest,” says Jeff Schwartz, Executive Director, Consolidated Credit Counseling Services of Canada. While making the minimum payment on time is good to maintain your credit score, only making the minimum will do very little to erase the actual debt. That’s because your minimum payment goes mostly to servicing interest and only a portion goes to the principal of the debt. If you are only paying the minimum because that is all you can afford, then you’ve got too much debt for your income. It’s possible that you miss payments because of disorganization. However, are you missing payments because you don’t have money in the bank? That is a sure sign that your debt load is too high. With household debt levels rising rapidly in Canada, this is a term that you’ve likely heard repeatedly. In your household, how much of your income actually goes to servicing debt? Do you owe more than you own? If more than 40 percent of your income is going towards paying debt and expenses, then you’ve got too much debt. Your debt-to-income ratio examines all of your debt requirements, including your rent/mortgage. Debt-to-income ratio is a good measure of how much “wiggle room” you actually have in your household budget. If you have a high ratio, you are vulnerable and need to reduce your debt. Stop accumulating debt as a means to an end. Pay down the debt that you have and learn to spend within your means. If you’re getting calls from debt collectors, that is a sign that you can’t afford your debt and that it is time to rein it in. Not only is this amount of debt financially unhealthy, living with the stress of dealing with debt collectors will take a toll too. Quick pop quiz. How much debt do you have? If you can’t lay out a rough idea off the top of your head, or aren’t really sure of how much you truly owe, it’s a sign that your debt has reached unmanageable levels. Are you avoiding friends or family because of conflict around debt? Are you hiding debts from your spouse or other family members? These are indicators that you need to come clean with your debt and define a path forward towards paying your debt off. Debts keeping you up at night? Is the stress of debt causing you to lose sleep? Are you feeling anxious, worried or even depressed? Debt stress has real physical and emotional tolls, which can keep you up at night and take over your life during the day. To get rid of debt stress, get support from your doctor and consult a financial professional to help you determine your best strategy for debt relief. If you don’t have a budget in place, there is a good chance that you are spending beyond your means. Setting up a budget means that you not only have a framework for your spending, it helps you to keep your debts under control in relation to your income. It also helps you to identify ways to accumulate savings each month- which is how you stay out of debt. If you are applying for new credit, but are told that you don’t qualify, it could be because you have a low credit score, or because you have too much debt already, in relation to your income. Even if you’ve managed to make your payments on time, your credit score can be dragged down if you have multiple debts that are maxed out. Getting turned down at the point of sale is not only embarrassing, but it is the sign of a serious debt problem. Your debt load is high and your cash flow is low. The answer is to stop spending and to pay down your debt today. Switching to a cash-only lifestyle means that you will always be able to afford your purchases, because you will have planned ahead. Truthfully, if you don’t make changes to your spending, budgeting or attitude towards credit, your debt problems will only get worse. Identifying that you’ve got a problem is the first step. Next, you need to identify the most appropriate strategy to pay your debt down.